Cinco de Mayo is the perfect occasion to party a little harder and eat a little more. The Mexican tradition always offers fun events and things to do, and the sunny city of Ocala is no exception. What started off as a day to honor the victory of the Mexican Army against the French Empire at Puebla has slowly become a way to fortify the bond between the United States and its Southern neighbor. 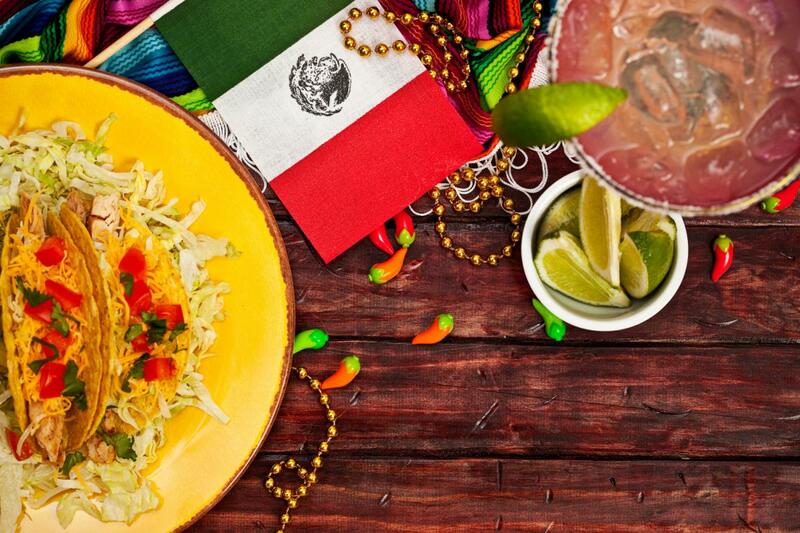 Keep reading and find out some of the best places to celebrate Cinco de Mayo in Ocala. Grab your doggies and participate in the upcoming Cinco de Mayo Get Down hosted by Native Downs at 12150 N US Hwy 441 in Ocala. Registration starts at 8 a.m. on Saturday for the conformation show and other events. You can also register by calling (352)624-0071. The show features fun canine activities like tug-of-war, dock diving, wall climbing, and even a treadmill race. If you think your dog has what it takes, then don’t hesitate to take part in the upcoming Cinco de Mayo Get Down on May 5. Get a taste of some of the best Latin fusion cuisine at Latinos Y Mas at 2030 S Pine Ave. The popular restaurant has been bringing in customers from all over the city since 1991, and you can bet they will be serving up some incredible food on Cinco de Mayo. Latinos Y Mas has the typical Latin American hospitality accompanied by delicious meals from their menu of Latin fusion with a Mediterranean twist. The usual relaxed atmosphere here makes it a favorite among locals and the best way to start off your Cinco de Mayo celebration in Ocala. Located at 11 E. Silver Springs Blvd., Tavern on the Square offers great food, drinks, and live music from some of the best artists in town. The gastropub also has entertaining themed nights like Wine Down Wednesdays, Live Jazz Fridays, Latin Fridays, and dance parties on Saturdays, so you can always get your groove on for the weekend. Tavern on the Square is one of the hottest places to go out in the city, and they invite you to stop by and have a great time with your friends and family for Cinco de Mayo 2018. If you want to celebrate Cinco de Mayo by eating a wide variety of Mexican food, then Las Margaritas in Ocala is just the place for you. The restaurant offers an array of authentic Mexican dishes at a great price and happy hour all day every day. The list is so extensive, it’s better to see the variety of meals and drinks Las Margaritas has to offer in advance by visiting their website. The restaurant is usually crowded, and on Cinco de Mayo weekend there’s sure to be a long line of hungry customers waiting to be seated, so try not to arrive during peak hours. Another great Mexican restaurant, El Toreo at 3790 E Silver Springs Blvd. has been dishing out incredible Mexican food since they started back in 1988. Customers get a great value on different meals that include favorites like tacos aracheras, pollo chipotle, and other Mexican classics. You can also opt for their seafood options such as camarones a la diabla, sopa de mariscos, and shrimp cocktail. Don't miss out on these great ways to celebrate Cinco de Mayo in Ocala, and register on one 352area to find out about all festivities in North Central Florida year-round.